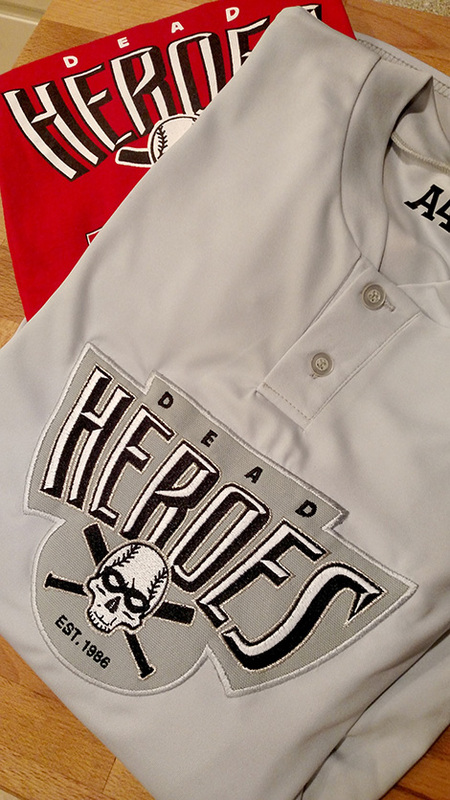 Established in 1986, the Dead Heroes had a run of more than 2 decades in Gainesville's ultra-competitive adult coed softball leagues. Founded by comic book shop owner Bill Hatfield, the Dead Heroes fielded a remarkably consistent team of cast offs, misfits, geeks and athletes who peaked in middle school. 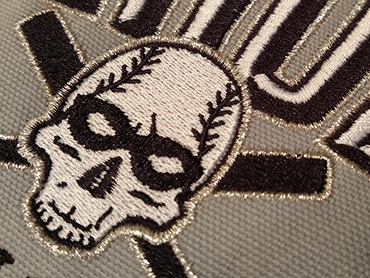 Gray, white, black and silver embroidery gave the jerseys a perfect lifeless touch.